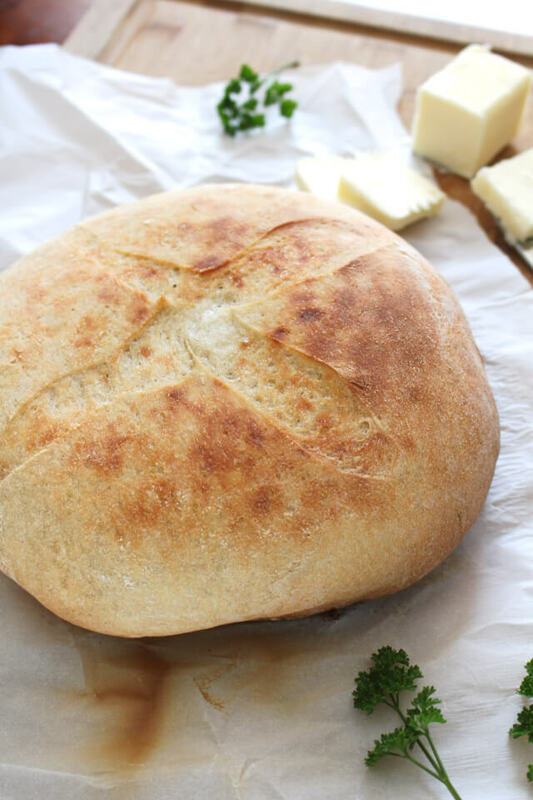 This Rustic Crock Pot Bread is proof that making a delicious loaf of fresh bread in your crock pot couldn't be easier! Who knew?! 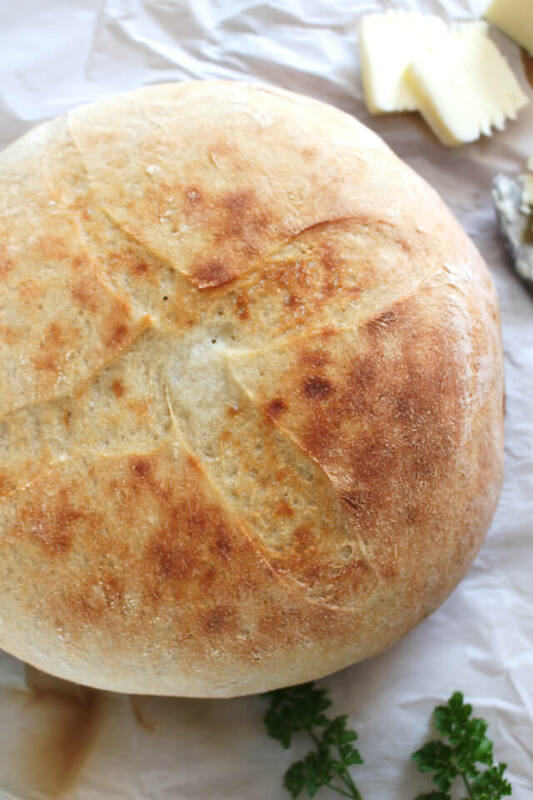 If there is one thing on the dinner table in our home that is never, ever turned down, it's bread! 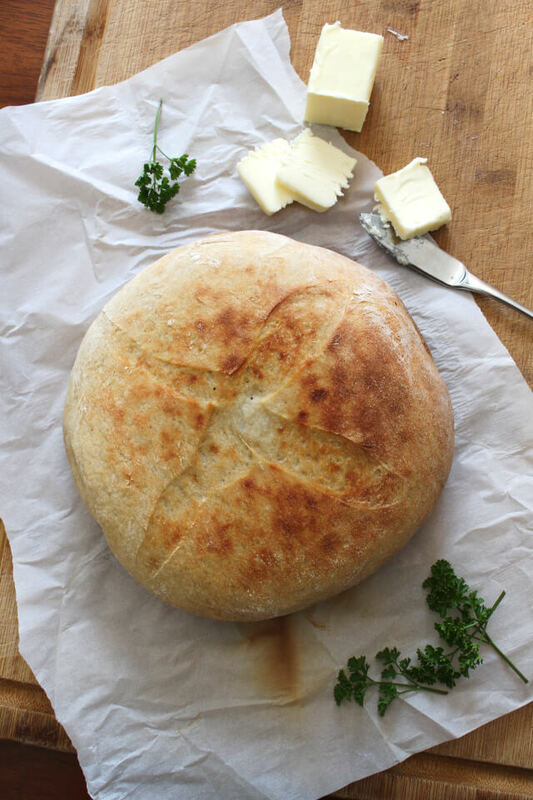 There's something about a hunk of warm bread with a pat of butter that lends itself to almost any meal. I'd say we literally eat bread with our meal 6 out of 7 nights a week. What can I say? We're carb lovers around here! If I have time and forethought (which are both often fleeting, ha), I'm making fresh bread to serve with our meals. 3) it is so easy to make! This particular recipe is extra awesome because it cooks in your crock pot. Yes, that amazing machine can cook more than just your dinner and dips. Who knew, right? It's true, your crock pot can pump out a gorgeous loaf of bread that will have everyone at the table reaching for more! Now, I must say that I have only made this dough with my stand mixer with the dough hook attached. I have seen folks hand knead and even use a spoon to mix bread dough, but I love my Kitchen Aid, so that's what I use. 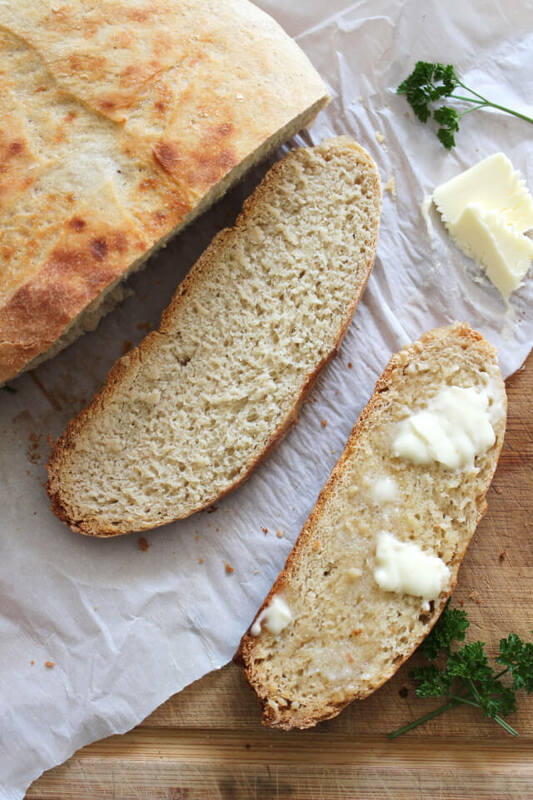 This bread is rustic, simple, and made with ingredients that you most likely already have in your pantry. So, are you ready to get baking? 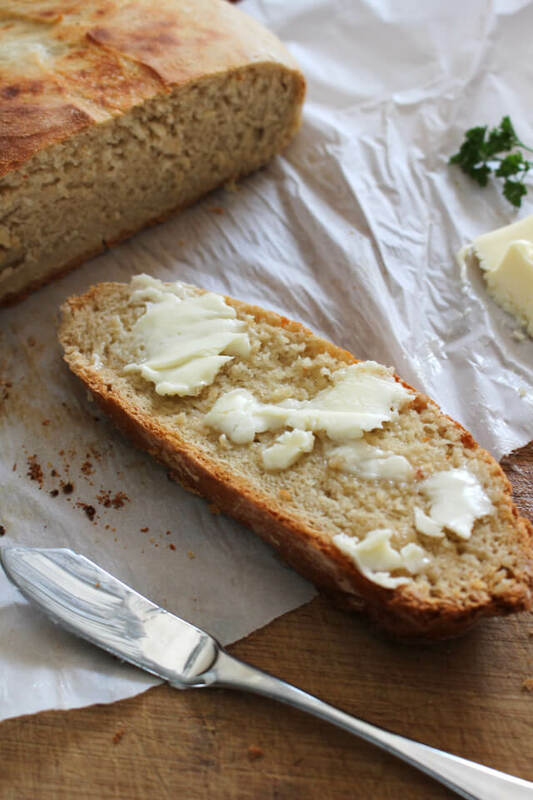 Make this lovely loaf in you crock pot today! In your stand mixer bowl with the dough hook attachment, mix the yeast with the warm water. Let sit for 5 minutes until frothy. Add the flour and salt to the mixer bowl and mix for 5 minutes. Coat the top of the dough with the olive oil and flip in the bowl so the whole dough ball is coated with olive oil. Cover bowl with a kitchen towel and let sit for 1 hour. Turn the dough out onto a floured surface, fold dough over itself once, and form into a round ball. Score the top of the loaf in a cross shape. Set your slow cooker to high heat and line with parchment paper. Place the dough in the center of the slow cooker and cover. Cook on high for 2 hours. Using a thermometer, check the internal temperature of the bread. Bread is done when the temperature is 190-200 degrees. Broil for several minutes to brown, if desired. If you have fresh herbs on hand, mince and add to the dough with the flour and salt. I love that this is made in the slow cooker!